“More? !” Hey, all show paintings don’t have to be beautiful or thought provoking. Some can be just fun. 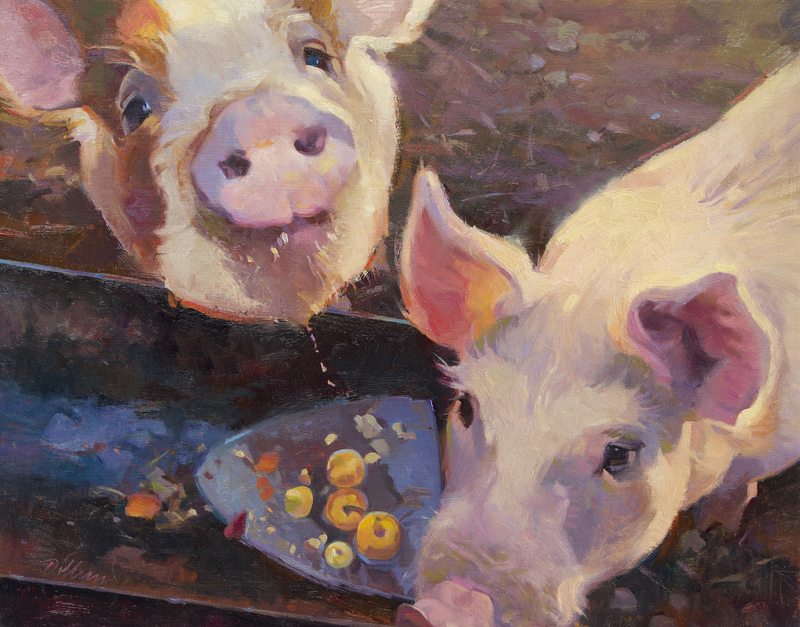 These pigs posed for me at a backyard farm in Rockville, Utah. Just like us humans, always looking for something more! This entry was posted on July 30, 2013 by dilleenmarshwomanartistrenaissance. It was filed under Uncategorized .